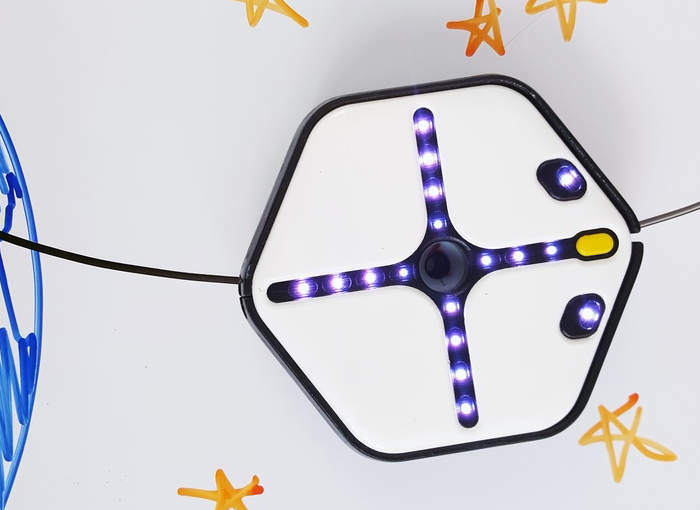 If you or your family would like to learn more about coding you might be interested in a new educational robot which has been created by Scansorial called Root. Root is a small robot that is capable of driving on walls, drawing on paper or white boards and more. Using an intuitive coding companion application that can be loaded onto smartphones or tablets. Watch a demonstration video below to learn more about Rootand its capabilities. Root is now available to back via Kickstarter with pledges starting from $145 for super early bird backers. Coding with Root is a dynamic and creative experience: Root reacts to things in the environment, kids react to Root and the interplay is orchestrated with code. You can program Root to move, turn, draw, erase, scan colors, play music, light up, sense touches, feel bumps, detect magnetic surfaces, perceive light, and respond to sensors in your phone or tablet. – Level 1 is a graphical interface that beginners of any age (even non-readers) can understand. Colored blocks reinforce its basic “if this, then that” framework. It teaches events, sequences, loops, states, functions, priorities, timing, program stepping, and debugging. – Level 2 introduces advanced flow control statements like when, repeat, and if-then-else, in order to foster computational fluency. It teaches variables, sensor values, units, arithmetic operations, recursion, and parallelism. Root’s multi-level interface offers learning opportunities to last years, providing a unique continuum of coding experiences. Once all the levels are complete, the transition to any other modern programming language is easy and programming can continue through Root’s SDK (software development kit). For more information on the new Root jump over to the Kickstarter website for details by following the link below.